We have a well used welfare unit for sale. This welfare unit does not come with a generator, benches or lights. 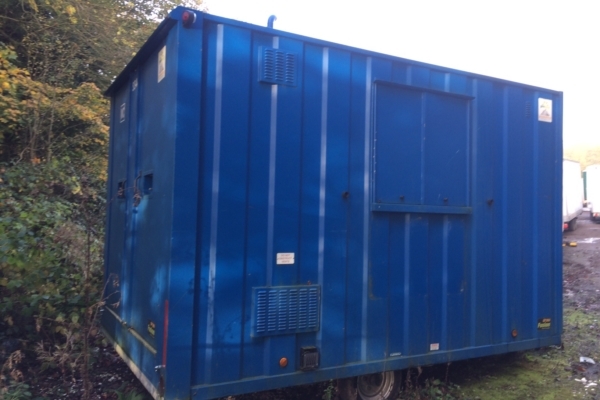 If you’d like more information about this welfare unit for sale, please do not hesitate to ring our friendly sales team on 01256 384 134 who can provide you with more details. This is available to buy for £5,000 + VAT. Our Ex Hire Toilet Trailer and Site Accommodation range is available to view at our depot in Lasham, Hampshire, please call ahead for an appointment. Once purchased Site Build are able to deliver this unit to any location across the UK. Or alternatively you are welcome to collect the unit up from our depot.